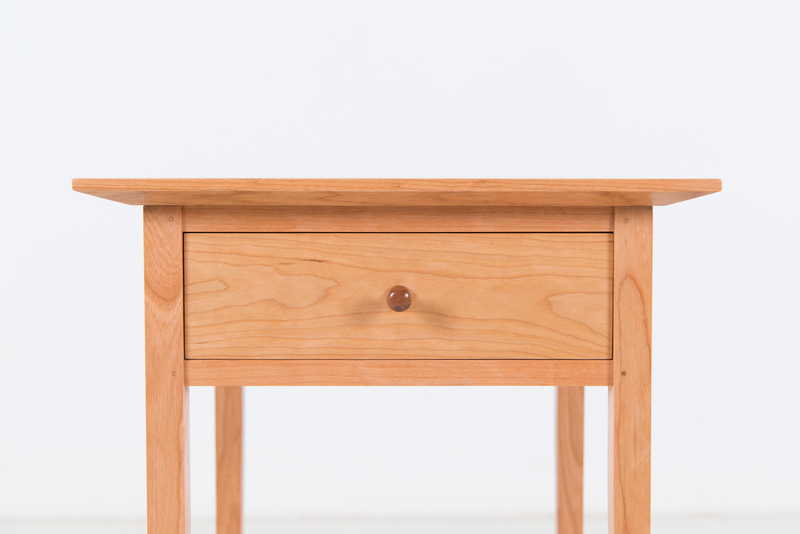 The Shaker Square Table demonstrates our commitment to simplicity, with the exposed architecture of the furniture and the richness of the wood itself. 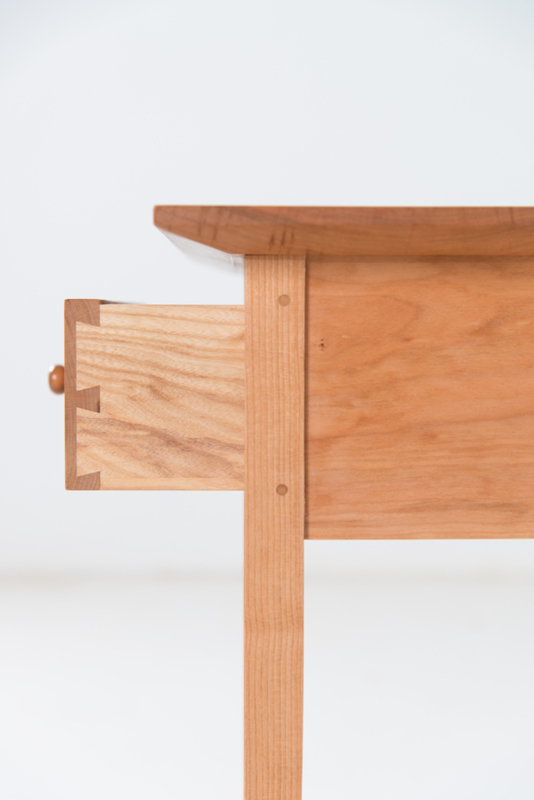 Inspired by Shaker forms and design, the table rests on four slender, tapered legs that create the corners of the drawer cabinet, secured by durable mortise-and-tenon joints. 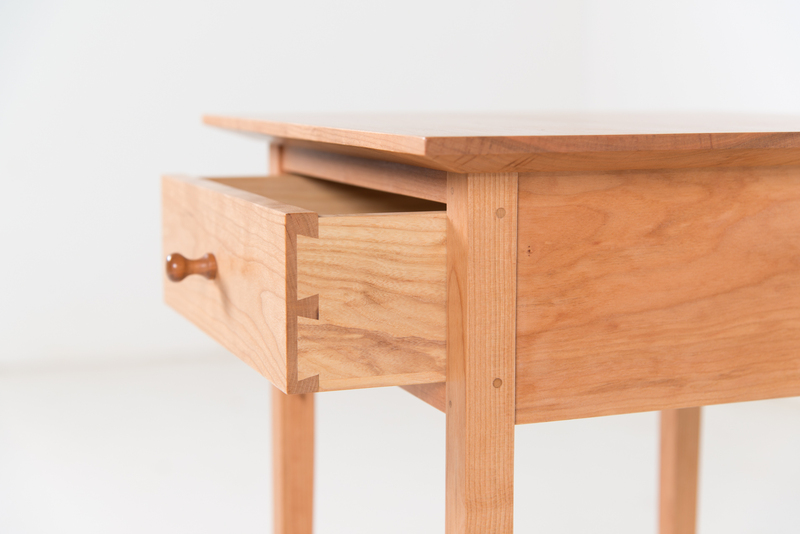 One simple drawer rests beneath the tabletop, situated on smooth-functioning hardwood slides that compensate for the effects of changing temperature and humidity. The top, like all the table’s elements, is from the wood of a single tree. Designed by Tom Moser, the Shaker Square Table is of simple form and great attention is given to detail and proportion. 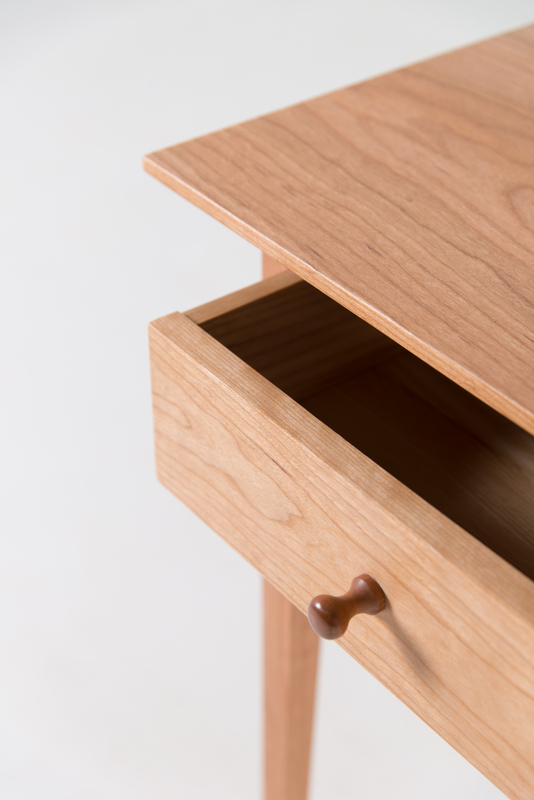 In 1974, Tom said “the unadorned unity and simplicity of Shaker design provide an inspiring medium for both the craftsman and client. It is our purpose and joy to use construction techniques of the 18th and 19th centuries to create fine furniture suited to contemporary homes as well as traditional settings.” The statement could have been in direct reference to this table. 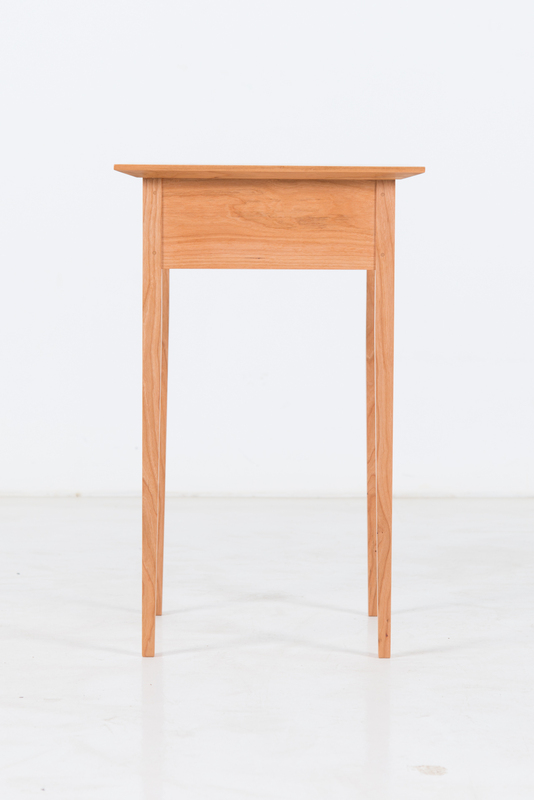 Made in a choice of North American hardwood, the Shaker Square Table is supported by four slender legs that rise to suspend the top in space. Joined at the drawer cabinet by mortise-and-tenon joints, the legs’ small dimensions stand in stark contrast to their strength. 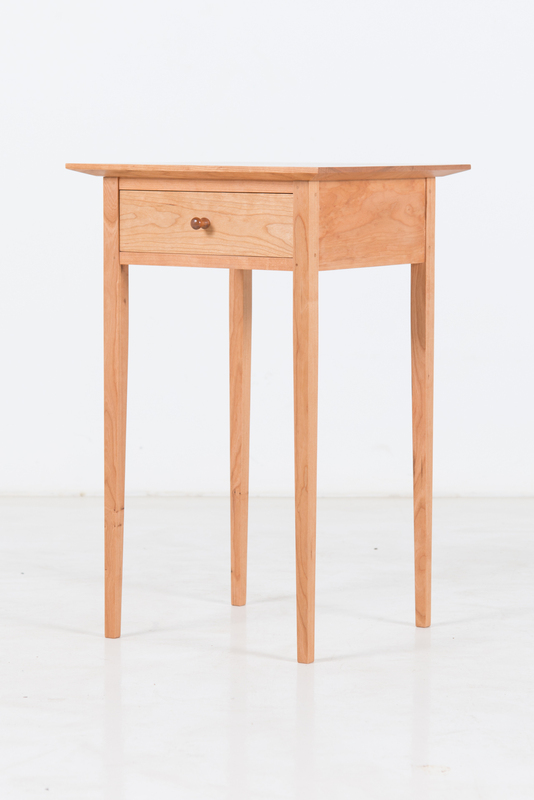 The cabinet of the Shaker Square Table houses a simple drawer that rests nearly flush with its front. Operating on polished hardwood slides, the drawer functions effortlessly and provides room for an assortment of occasional necessities. The tabletop is finished to expose the dense grain of the selected material. Finished to a satiny-smooth luster, it is at once durable and beautiful. The table’s utilitarian design is remarkably versatile. It fits well with any décor, in any room of the house.